Lake Hamana eel, are famous across Japan, and it all started in a small eel nursery built by Hattori Sōjirō in the 33rd year of the Meiji period. Baby eel are caught at the mouth of Lake Hamana and Tenryū River. The warm climate coupled with fertile waters steeped with minerals from Tenryū River and Mikatabara highlands creates a comfortable environment for raising healthy eel. 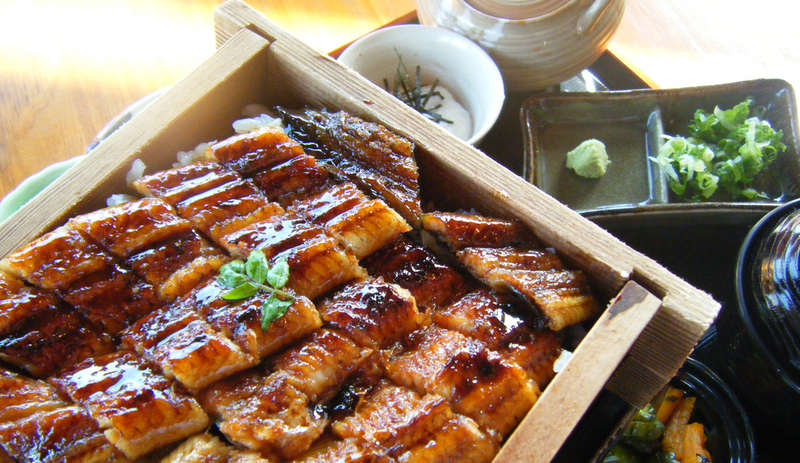 The result is unagi highly praised for its firmness and rich, oily taste. Lake Hamana is perfectly situated between east and west Japan, meaning you can find quality eel wherever you go, and enjoy comparing eastern Kantō style versus western Kansai style eel dishes. Known in Japanese as nokogirigazami, the mangrove crab is a large variety of mud crab with a shell 13cm long and 20cm wide, fished mainly in Lake Hamana, the Yaeyama Islands in Okinawa, and Udo Harbor in Kōchi prefecture. 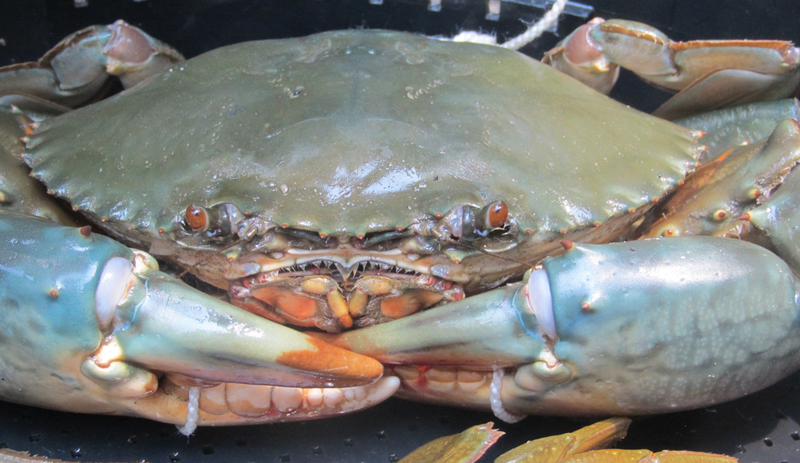 Mangrove crab numbers have dwindled in recent years, leading to high prices at the famous Tsukiji fish market and earning it the nickname “phantom crab” among seafood connoisseurs. Best enjoyed between August and mid-September, many have become enraptured by its sweet and succulent taste. Among all puffer fish used in cooking, the Tiger Puffer Fish stands out as the cream of the crop, and fishing season begins October in Enshūnada, which is Japan’s preeminent fishing spot, accounting for 60% of the nationwide supply. Their pale pink and white body is high in protein and low in fat, while the skin is thought to aid in anti-aging and cancer prevention, making it the prefect dish to improve health and beauty. 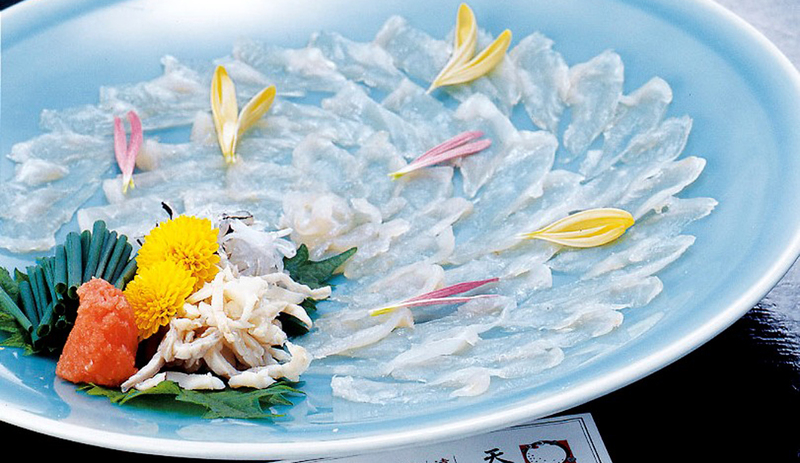 Tiger Puffer Fish can be prepared a variety of ways, including delectable raw-sliced tessa sashimi, tecchiri-style with vegetables, fragrant shirako grilled soft roe or even as sake infused with puffer fish fin. 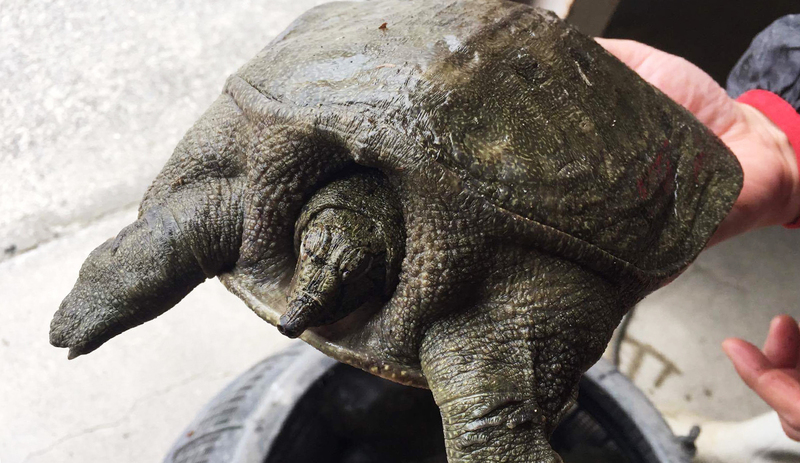 Lake Hamana is home to 70% of soft-shelled turtles raised in Japan. The first husbandry was started on the shores of Lake Hamana in the 33rd year of the Meiji period by Hattori Sōjirō, who already had experience raising eels. The natural features of the lake provide an ideal environment for open-air ponds, in which turtles are raised over a period of 3-4 years using only organic fertilizer and no unnatural additives. This produces turtles with soft and delicate turtle meat chock full of collagen for a soothing, refined taste that can be enjoyed in a variety of ways, including soaked in sake or boiled in a hotpot or stew. Maisaka port is one the leading sardine fisheries in all Japan. Here, fresh water flows into Enshūnada from Lake Hamana and Tenryū River, bringing along an abundance of plankton to attract hungry sardines. Fishing season begins in March and reaches its peak between mid-April and June. 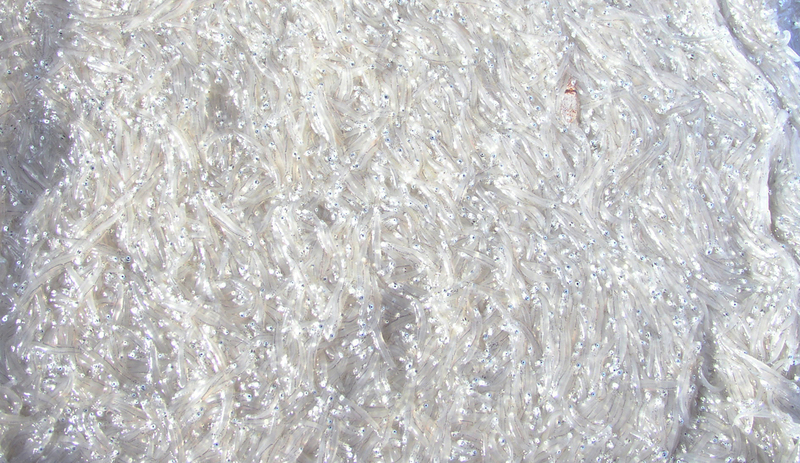 After the catch, they are shipped off to a processing plant, where one can marvel at endless rows of translucent, freshly-caught sardines drying out in the sun. Afterwards, sardines are often enjoyed boiled with salt with ginger soy sauce or vinegar miso to accompany their gentle, soft texture. While the natural surroundings of Lake Hamana are quite beautiful, these mountainous areas are also home to boars and deer that cause farmers no end of trouble. 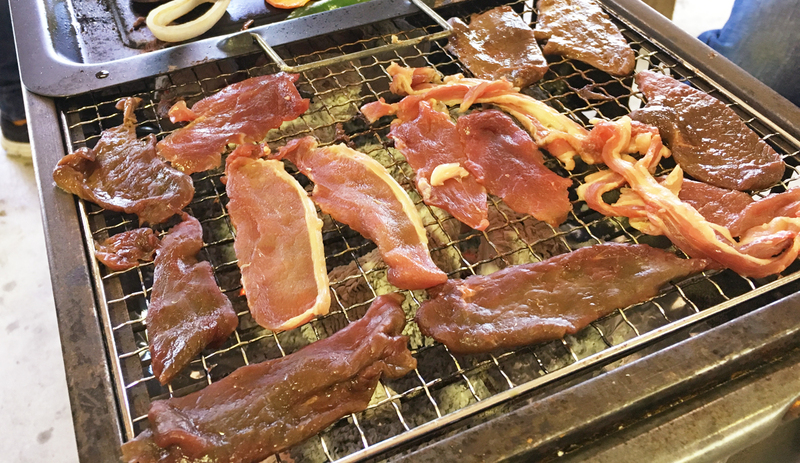 In 2016, Haruno Yama no Mura, an inn located in Haruno, Tenryū ward completed a meat processing facility to purchase captured boar and deer from hunters. At regularly held events, visitors can buy ham, venison and other processed meats. The same area is also host to various bistros and cafes offering a variety of dishes prepared using wild game. 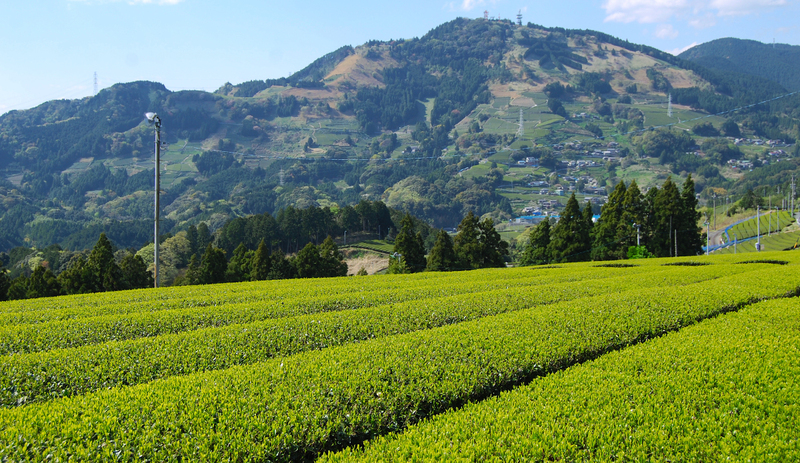 The mountainous area of Hokuen has long been regarded as a source of high-quality tea. At an altitude of 100~700m, the sloping geography is perfect for supplying tea fields with fresh river water, which blankets the area in a moist, cloudy mist each morning. This secluded area, where sunshine is most often blocked by craggy peaks, and ambient temperature varies greatly from day to night, is where some of the finest tea is grown. Shincha, the first tea harvest of the year, comes during May, which is slightly later than in the plains down below. The leaves are best lightly steamed, producing a translucent yellow-green tea with a refined taste that balances richness and astringency.